Nortec 202 Steam Cylinder. 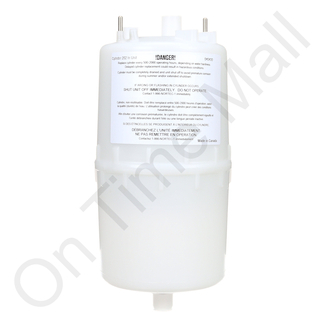 Replacement 202 steam tank for Nortec steam style humidifier. Designed for 110 to 277 volt single phase operation. Made for models rated at 5 to 10 pounds of steam per hour. Also known as part number 154-060-006. Designed for standard conductivity water applications. This item is also known as Canatal part 1519002C1.